Catholic Mobilizing Network is pleased to have been invited to be the creative voice for Education for Justice's 2018 Lenten Reflections. Featuring the writing of several members of CMN's staff and board, these reflections are meant to provide a window into God's immense wisdom, offer connections between Catholic social tradition and restorative justice, and invite us to walk boldly in our faith. 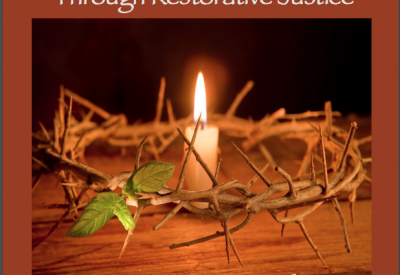 We invite you to consider making these reflections a part of your Lenten journey this year. For more information on how to download these and other resources from the Education for Justice, a project of the Center of Concern, please click here.